For use in schools and libraries only. In a futuristic and over-populated Earth, the government limits families to two children. Any "shadow child," a child born after the first two children in a family, is either killed or imprisoned by the Population Police. Luke Garner, a shadow child livi For use in schools and libraries only. The unsettling, futuristic totalitarian society created in Among The Hidden continues in this equally compelling sequel. OUT OF HIDING. INTO DANGER.Luke Garner is an illegal third child. All his life has been spent in hiding. Now, for the first time, Luke is living among others. He has assumed a deceased boy's identity and is attending Hendricks School for Boys, a windowless building with cruel classmates and oblivious teachers. Luke knows he has to blend in, but he lives in constant fear that his behavior will betray him.Then one day Luke discovers a door to the outside. He knows that beyond the walls of Hendricks lie the secrets he is desperate to uncover. What he doesn't know is whom he can trust -- and where the answers to his questions may lead him... Psychology Professor Builds Stasis Chamber to Research Benefits of Extended Sleep. What if you could revisit a decision you made that affected the course of your life? What if you could experience the road not taken and learn whether your decision was the right one? The "Alternative Lives" phenomenon awaits discovery. It promises dream transport to other lives. The alternative life dream is one of two unexpected occurrences. The linkage between the two happenings is such that researchers have to come upon alternative life dreams first. There is no clue about the existence of yet another event. More deeply hidden than the first, the second potential happening offers a startling and dangerous opportunity. Manifestation of either occurrence requires extended sleep stasis in a chamber such as the one Harold Treadwell is designing. The chance for discovery and investigation of these events belongs to the curious ... researchers interested enough to pursue the small initial sign of strange dreams. Dr. Harold Treadwell is a PHD psychologist and a professor at Philadelphia's Jess Hawkins University (JHU). In spite of years of successful academic achievement, Harold has extremely low self-esteem. Memories plague him of a years-earlier incident he cannot forget. He immerses himself in defining the complex requirements for a sleep-study research project. Harold's proposed research focuses on sufferers of undiagnosed and untreated mysterious pain ... mental and physical difficulties that appear without warning and ruin lives. Harold spends five-years designing a sleep-stasis chamber ... a necessary apparatus in the proposed study. Finally, he submits a grant application to the National Institutes of Health (NIH). Its approval is in doubt until an unexpected source of support with NIH influence appears. NIH funds Harold's request. The approval elates Treadwell, but his challenges are only just beginning. He suppresses thoughts of his regrettable past. Harold moves on and assembles a research team to join him in his quest for the discoveries he perceives await them. What they find is astonishing, and perilous, with implications that extend far beyond Philadelphia, PA.
My son loved reading this book. I had to buy the whole series. Great author. If you have a kid around 12 years old and want to encourage reading, this is the right author for you. I love it, this is a great book, I read the first book when I was high school. I didn't know they had a second part so I saw it online, and I'm dying to read it. It is a great book, sad, but interesting.I will recomend this book to anyone. 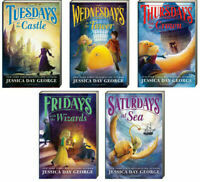 My 5th grade class - boys and girls, alike - loved this book. Book centers around a community in which each family could only have 2 children. What happens when the rule is broken? This is one book of several in a series. 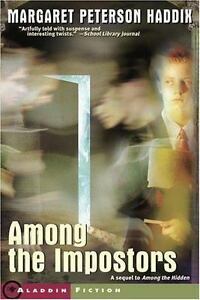 Great sequel to Among the Hidden. Haddix keeps the plot moving along while maintaining realistic characters in her sequel to Among the Hidden. This is a good high interest/low readability book that will keep reluctant readers involved.